Spring is a wonderful time to walk out into the yard and rediscover all of the training dummies my dog has lost throughout the winter. It’s always fun to see how many training tools got buried in the snowpack only to be revealed with the spring’s thaw. While the rubber bumpers tend to survive the winter well, most canvas and foam dummies don’t. This means that springtime is the right time to replenish the dummy supply and take stock in what I need to keep my Lab sharp enough to do her job come duck season. 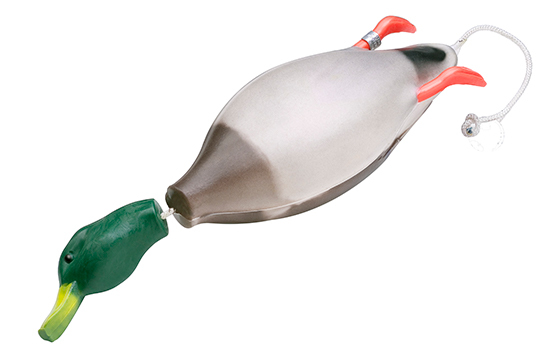 If your retrieving tool supply is falling short – or you simply want to increase the odds that your duck dog is in tip-top retrieving shape – you should do the same. Following are five killer options. Good luck finding dummies that train on every retrieve quite like DFTs do. They are designed with hard feet and a hard, jowl-whacking head, so your dog learns exactly where to hold a bird and what not to do with it when it does (shake the living crap out of it). 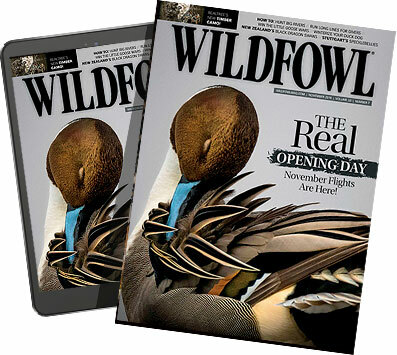 Ranging from the popular Mallard to the Wood Duck, you’ve got 10 options in this lineup that look like the real thing and allow you to train for what you’ll actually hunt. Having lots of dummies is a good idea, but only if at least one of those happens to be a DFT. Sometimes you just need to get your retriever a ton of exercise in a short period of time without worrying about the training details. For this task, you could do a lot worse than picking up a new WagOne from Birchwood Casey. The American-made WagOne allows you to load up a tennis ball without having to touch it, which keeps the slobber factor to a minimum. After that, send it sailing. Lather, rinse, repeat. 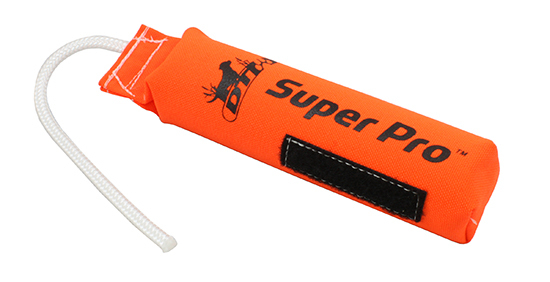 For $15, it’s a no-brainer for anyone looking to give their duck dog some long-range, fun retrieves. This is also an excellent option if your spouse or kids are occasionally tasked with getting your Lab some quick exercise, because anyone can send a tennis ball sailing with a WagOne. One thing I like about D.T. Systems is that they offer quality dog training gear that doesn’t break the bank. Their e-collars definitely fit into this category, but so do their dummies. Their Scent Strip dummies are canvas options available in a couple of sizes to accommodate puppies and full-grown duck dogs. As you can imagine, the coolest part about these dummies is the Scent Strip, which allows you to apply training scents, which is an underutilized option in the amateur training world. Even when doing water work, the Scent Strip holds scent well. This is also an excellent option for running trailing drills to teach your retriever that sometimes wounded ducks pull a rooster move and try to hide on land. Imagine a mallard flying directly into a clean window at 43mph, and that’s what the head part of this dummy sort of looks like. He may not be the most handsome fellow in the marsh, but fortunately, that doesn’t matter when you’re working a retrieving dog into shape because this dummy is designed to encourage proper hold on an actual duck, and that’s what matters. 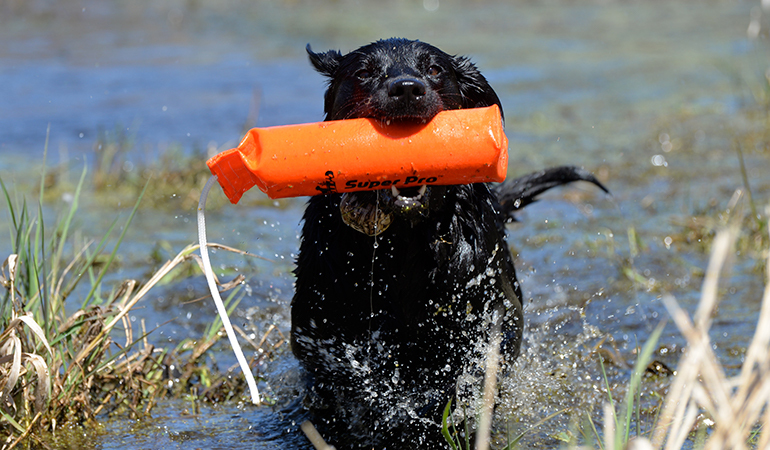 The Retrieve-Rite Pro measures 3 x 11” and is built with durable one-piece construction so it can withstand young dog teeth and plenty of environmental abuse. It looks like this lineup is going the way of the dodo, which means you can find some smokin’ deals on the Dead Bird Bumpers. If you’re looking to load up on quality bumpers at garage sale prices, this is your chance. 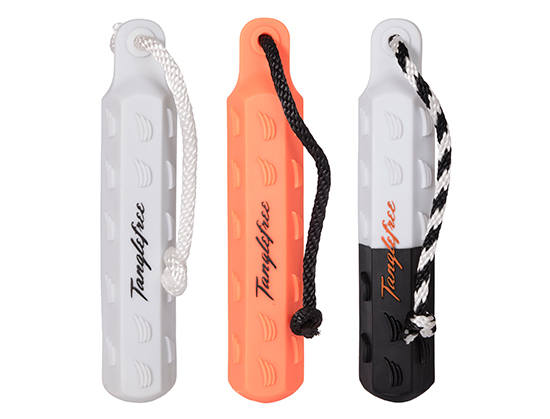 Tanglefree offers these bumpers in 2-inch and 3-inch options, and in white, orange, and black/white. They are also designed to be durable and promote a soft bite thanks to the texture.